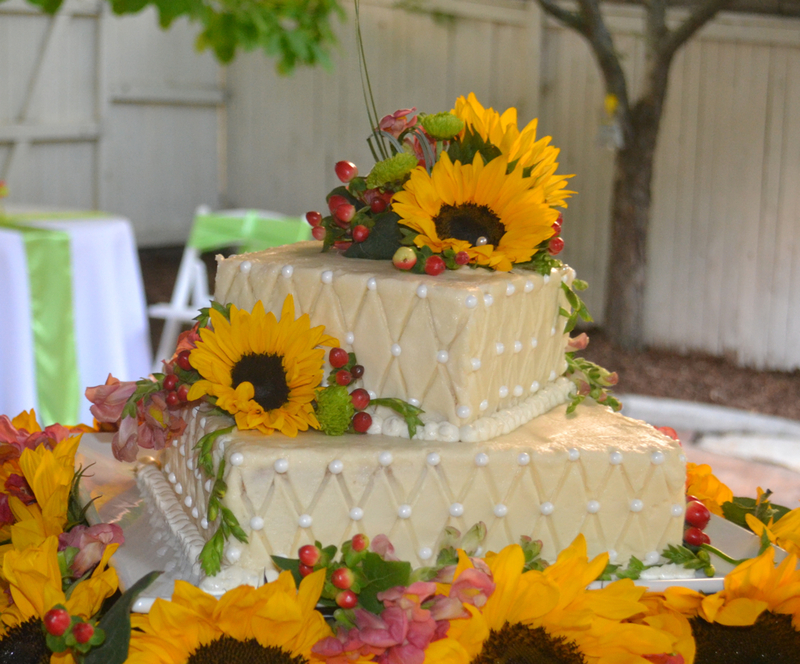 Late summer wedding held at Private Residence in Old Mill, Utah. 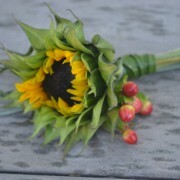 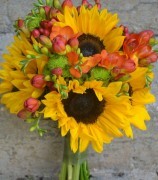 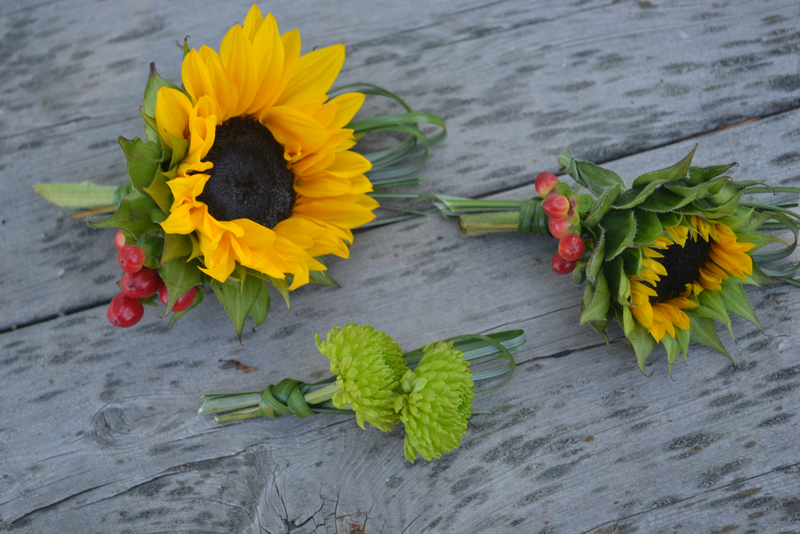 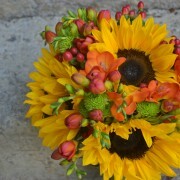 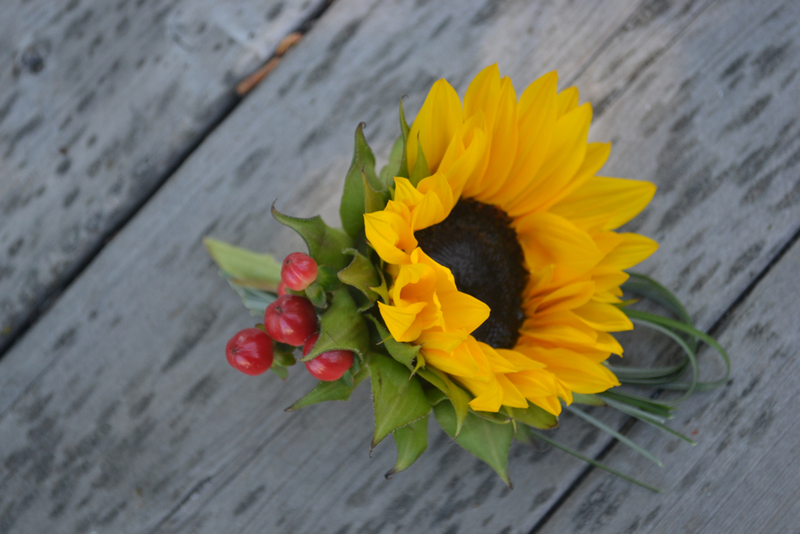 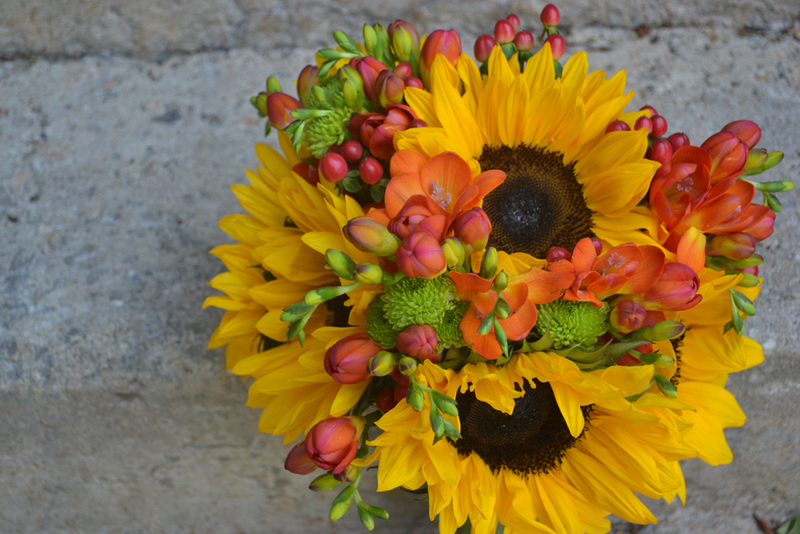 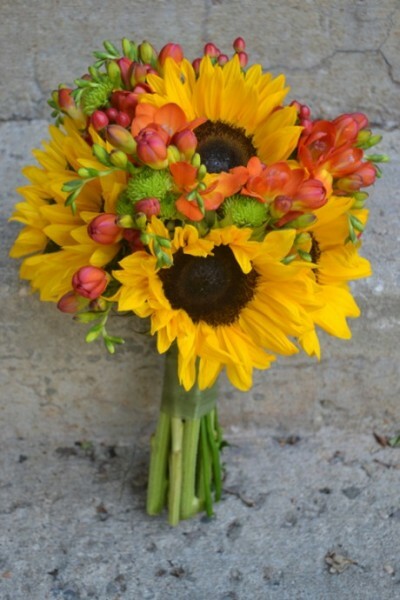 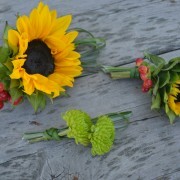 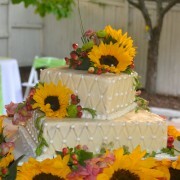 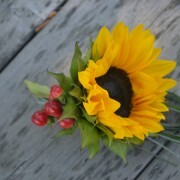 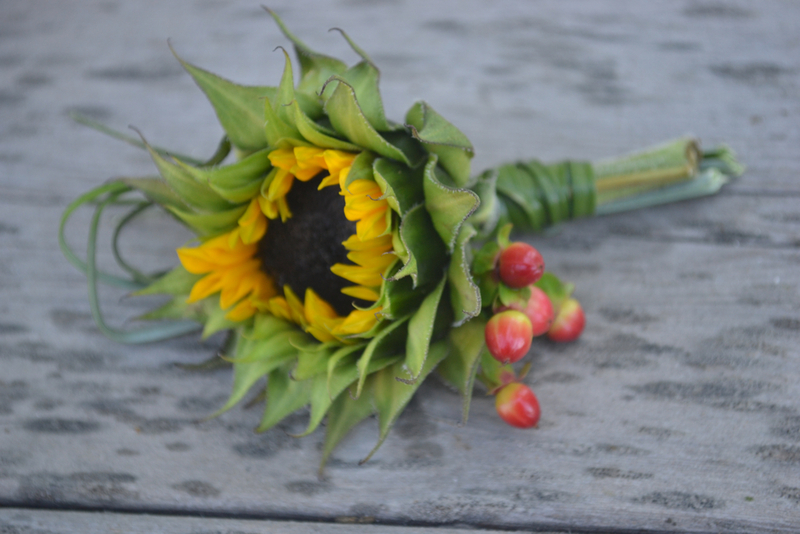 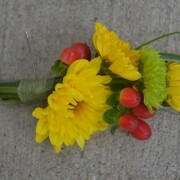 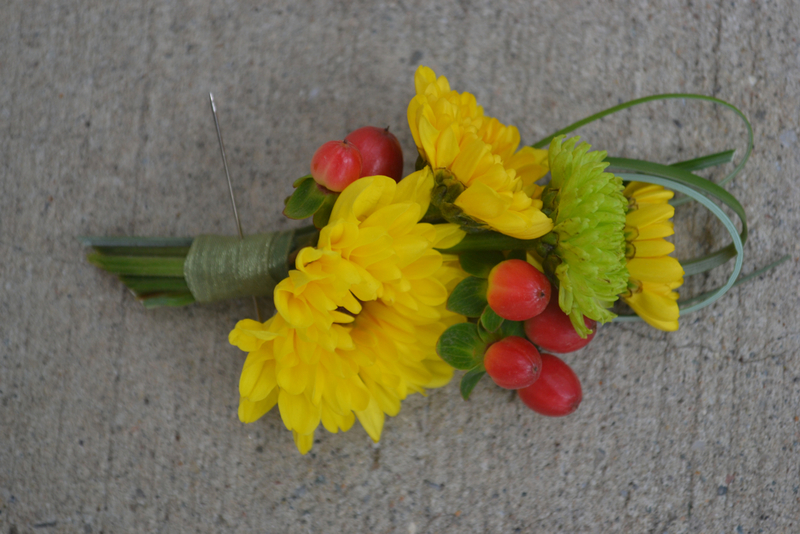 Bride choose golden sunflowers with sunset accents to go with her vintage lace dress. 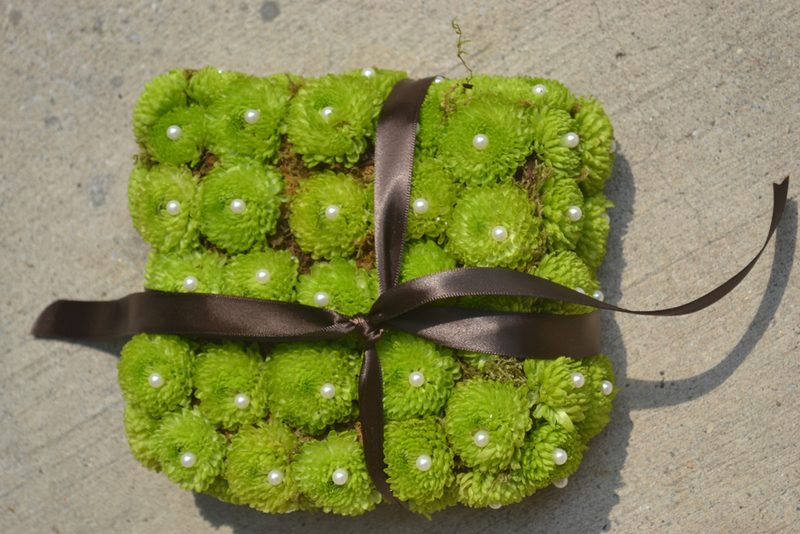 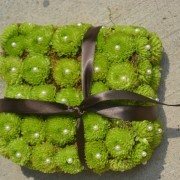 Ring Bearer held a pillow made of kermit poms.